Until further notice, persons interested in access to the Title area for camping and associated recreational activities are encouraged to contact the Tsilhqot’in National Government (http://www.tsilhqotin.ca/index.htm). 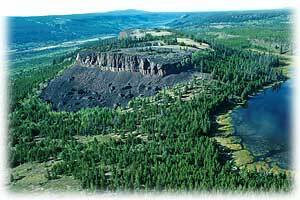 Cardiff Mountain Ecological Reserve was established to protect a site having outstanding basalt columns. The approved Purpose Statement for this Ecological Reserve is now available.